Ramen Adventures: Let the Ramen Hunt Begin! Around 100 years ago, Chinese noodles became popular in Japan. But to still consider ramen as Chinese food would be plain wrong. It's a part of Japan, a downright obsession in some sense of the word. It morphed from simple noodle soup to gourmet cuisine. Local varieties receive cult followings. We're talking Philly Cheese Steak and Chicago Pizza loyalties and analysis. A popular ramen shop can have an hour wait just to sit down. Get some comfortable shoes and make sure you bring a book. Ramen is NOT the instant noodles you ate daily in college. The ramen "experience" has 3 factors... well maybe 4. But the 3 are the noodle, the soup, and the toppings. Noodles can be thick like udon or thin like vermicelli. Curly or straight. Firm or soft. The thick ones tend to sit heavy. Don't time it so that after eating heavy ramen you have to run to catch a train to the unemployment office. It's not fun. The soup for ramen can take days to make. Shio (塩) is a light salt broth. It's clear and usually made from chicken and vegetables. Shoyu (醤油) is a little less light, with soy sauce. Tonkotsu (豚骨) is the crazy stuff. It's like drinking pork. Liquid gold to some, one way ticket to religious hell for others. The last main category of soup is miso (味噌), it adds fermented soy paste to the broth. Often miso is the most flavorful. 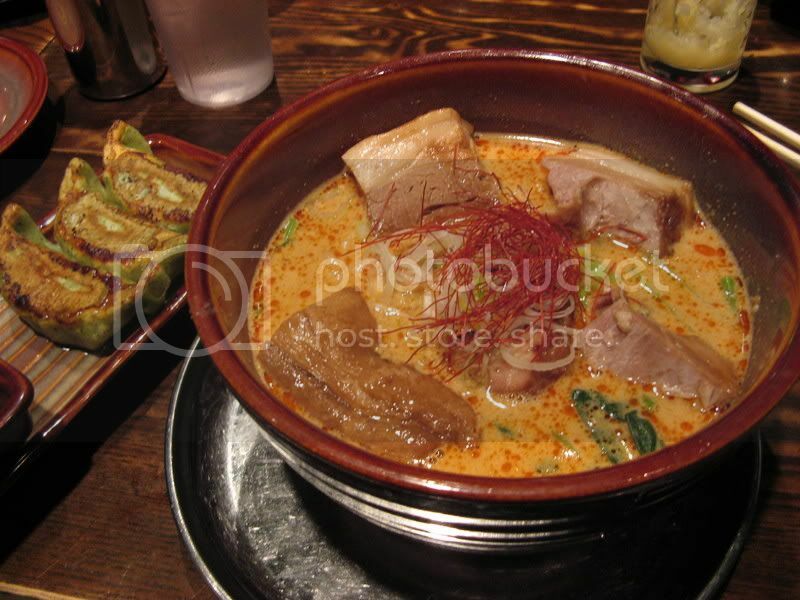 Toppings are usually a slice of pork, menma which are bamboo shoots, and green onion. Be prepared, if you go to the cult status shops, for some different toppings. Sprouts, eggs, fish eggs, meatballs, seaweed.... expect anything. Whats the 4th aspect of good ramen? I think it's the atmosphere. Waiting in line with excited customers, the shout of the entire staff when you enter, the seriousness of the shop master as he creates his masterpiece... it all helps. The top 30 ramen restaurants in the country. Turns out over half are in the Tokyo area, even one is in Kawagoe. So I've made it a mission to visit all that I can.